Thanks ToolManJohn. That's good advice. I'll add that stuff to my check list. And I hadn't thought about the infrared thermometer but I got one of those for Christmas so I'm set. We debated about buying locally but we couldn't get our local place to budge on the price either. By going to Couch's we saved almost $3k. I'm pretty handy so we figured we roll the dice and see what happens. We still have to go and pick it up, that's in 33 days. We're treating it as an adventure. I can't wait. Totally agree about being handy and able to take care of most issues. It saves a ton of time and headaches. Make sure you are getting everything that is supposed to come with it, including any tools jacks, options, manuals, seat cushions, etc. Make certain they get water into the fresh tank. Test the system! For at least a half hour under city water pressure and also pump pressure. Look under the kitchenette , pass through storage, under carriage for leaks. Test the furnace, listen for rattling/fan noise, could mean an obstruction/bad build. Test the A/C for a while, check for cold air output (infrared thermometer), should be getting colder. Ask that they plug it into shore power so the fridge is cold when you get there. Check for trouble lights. It will take at least an hour to get cold. Check door and window opening and closure! You could get home and a window or door is stuck hard. Or the door is not installed correctly and won't shut. It happened to me on 2 different brands of trailers!! Starcraft and ATC. I guess there are other items to check but for me those are the biggies. I have been burned on those items. We purchased our R-pod 190 at AC Nelsen in Omaha, Nebraska in January. The title and registration information was sent electronically to the DMV. USAA e-mailed me proof of insurance. Went to the DMV and was out in 15 minutes! Great customer service at every step. 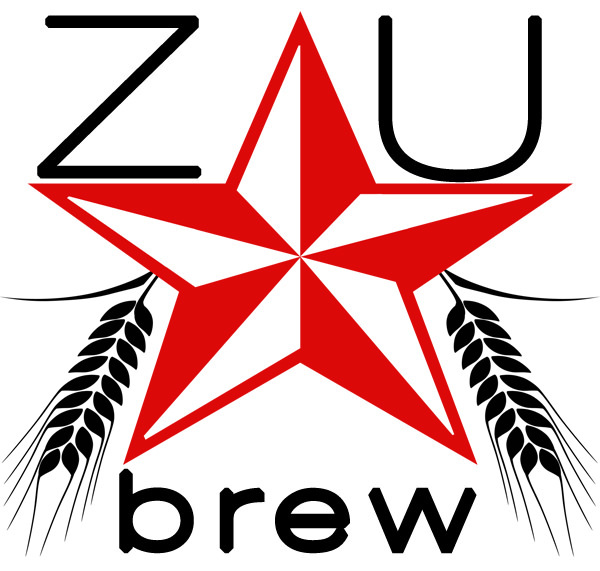 ZuBrew, wow, that was a lot of effort! Thanks for posting the detailed info for others to learn from. I guess I should add that when I purchased my R-Pod in 2012, I paid a deposit (credit card by phone) shortly before driving to Hamilton OH from Connecticut, and I paid the remainder in full at Couches before pickup. I has insurance purchased before traveling there (bought online at progressive, with the VIN number given to me by Couches). I did NOT finance, I received all paperwork that afternoon. I was also given an Ohio temp plate (I think it's still in my garage on a window ledge). I took all my paperwork with me to the main DMV branch, only 3 in Connecticut at that time could do an out of state title transfer, so I had to go through an inspection lane because it was purchased out of state. It was STILL worth it. My local R-Pod dealer (9 miles away) played games, and also they would not budge from a high price (I saved almost $3000 buying from Couchs). I did spend a lot of time waiting in lines, traveling, and also I had an issue with a leak coming from the hot water heater element gasket which was ultimately repaired (new gasket) but took several attempts by a different dealer to repair. #2- Tongue weight in outer space, completely different from what was promised for a dry tongue weight (almost 500 pounds heavier than quoted!! WTF???) It went BACK to the plant for axle modifications to suit my needs. It was SUPPOSED to be a custom trailer. #3- The water system drain 100% blocked by the optional under body foam insulation. A tech spray expanding foam over the drain!! And it was NOT repaired at the factory as requested when it went back!! the dealership spent an afternoon on their backs chopping away a the foam and replacing the hose assemble (and they didn't have the right tools and parts to do it in a timely fashion, which made it hard). Both of these experiences are simply the roll of the dice, not every trailer will have large issues, and some trailers will have no issues at all. My R-Pod had NO issues after the water leak. After 4 trips to the NYS DMV, I finally have a license plate and registration for our camper. I wanted to do a follow up on this thread to set the record straight because there was some information shared previously that was incorrect. If you’re a NYS resident, you’re supposed to receive your title. The DMV won’t register your RV if you don’t have it. If you’ve financed the RV then a lien is placed on the title but you still get your title. It will have the lien holder information printed on it in the lien section but it will have your name printed on it as the owner. In order to sell the RV, you’ll need to pay off the loan before receiving your lien release letter. My 1st trip to the DMV was just a fact finding mission, trying to figure out what I needed to do. That was at one of our mobile DMVs. They told me I needed to go to a permanent DMV office where they could receive faxes. They also spoke of a certified copy of the title being okay. So I sent a fax to Bank of America (BoA) and requested a certified copy of my title. More than a week went by and no communication back from BoA so I sent a 2nd fax requesting the certified copy of my title and also asked them to please let me know the status. I received a letter from BoA about a week later with the paperwork I thought I needed. My 2nd trip to the DMV, I tried to register our RV with a certified copy of the title but the DMV wouldn’t accept that. They were actually very helpful and informed me that I needed the original title. I found a phone number for BoA and talked to a person that finally gave me an email address (titlechange2@bankofamerica.com) to send my request to instead of a fax. But after a week had passed, I hadn’t received any information from BoA. So I sent a second request email and then I received a phone call from a representative that explained to me they needed the request had to come from the DMV directly and it needed to be on NYS DMV letterhead. So I headed back to the DMV (my 3rd trip) to request them to send a request to BoA. During that visit, I actually had to call the BoA representative so the person at the DMV could talk to them. That was Wednesday. This morning I received a phone call from the DMV they had received my actual title. So I rushed over there (my 4th trip) and completed my registration. The entire process took over 6 weeks. My recommendation to anyone in NYS purchasing from Couch’s RV Nation is to finance (if needed) from a local bank in NYS. You cannot drive a TT without a registation and title. Therefore when you pick up the TT from Couch's they will give you (for a fee) an Ohio temporary registration and title. They will not charge you sales tax. You then can legally drive it back to your "home" state. Once home you go to your motor vehicle department with your title, temp registration card and bill of sale. Then you pay the sales tax in your state, the registration fee and the title fee and they give you your new plates, registration and title (sometimes the title comes weeks later in the mail). Since you mentioned Bank of America so I assume you have financed the purchase. In that case the title is not made out to you but to Bank of America. I do not know the specifics of how this is handled by Couch and Bank of America but it is possible you never get the title and Couch sends it to Bank of America. But I doubt that. I think you will get it and then take it to your home motor vehicles and they will issue you a new title but made out to Bank of America. Good luck and enjoy. I would recommend staying in the area for a few days and trying out the TT. Then if there are any problems you can return to Couch for warranty work. Buyer beware it is VERY tough to get warranty service from a dealer that did not sell you the TT. It is not like auto sales. Most dealers will flat out say no while others will make you wait a couple months. While we bought from a dealer 100 miles away we found a RV rental place that does factory authorized FR warranty work so we lucked out by chance. Our local dealer turned us down. I also bought my 177 from Couch's in Ohio, registered in Connecticut, back in 2012. I had the to tak ethe Pod through the Waterbury DMV inspection lane. First stop was inside, wait in line, receive instructions on what I needed and where I was supposed to be. Back outside and into a different office door, I was told to pull up with the trailer at a certain inspection lane. Back outside, pulled into lane and waited my turn. They only did a very quick glance over, they realized it was brand new, so after checking the trailer VIN on the frame vs paperwork, I had to park, go back inside, get back in line and wait a MUCH longer time to get registered. Luckily only 2.5 hours at the DMV and ONE trip. Half a morning. We did the Couch route and registered in CT. It took three trips to the DMV to get it registered. When we bought our last RV from NJ, we got it down to only 2 trips. Take a "dry" trip to the DMV and find out exactly what you will need to register the camper. Show them what you got and find what you're missing. Also find out if the camper needs to be physically present for a serial number id verification or some other inspection (our third trip). Titles sometimes take a while to arrive from dealers so find out what kind of time frame you're working with. Hope our experiences help a little. Go with Couch's. They do this all the time.